I have been receiving emails asking if I sew stuffs for ‘adults’ for sale, other than the crayon wallets that I list on Etsy. Well, while I do make fabric covered button book marks, Quilted applique notebooks, bobby pins, etc. But sewing wise, I have yet to list anything for people above ‘crayon-age’. BUT I have been sewing pouches and clutch purses for friends over the holidays and I do love how they turned out. A very nice lady helped de-mystify zippers by showing me how it actually works! Besides the Zipper, I finally took the plunge and ordered some clutch frames from Etsy. I loved how they all turned out! Ok, my Stash is 70% kiddy fabrics (and most of them scream ‘boys’), but what came to my rescue was this lovely local online store Needle and Thread – check out the website, prices have been revised down! YAAY!. Magdalene delivered the fabrics the very next day after I placed my order and I knew they were perfect for my friends. Amy Butler and Art Gallery Fabrics. 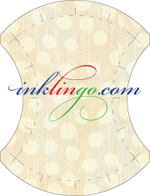 Hi Rebecca, I use interfacing for all my pouches as they need to withstand heavy use. I mainly use iron-on lightweight interfacing, but the type of interfacing I choose depends on the fabrics that I’m using. You can buy them at Quilts and Friends, Dreams In Quilts, Sin Hin Chuan Kee, and also Spotlight too. Their details are in my Sewing Kit.